An ankle sprain is a trauma to the ligaments of the ankle and foot, possibly involving tendon injury, but without fracture. 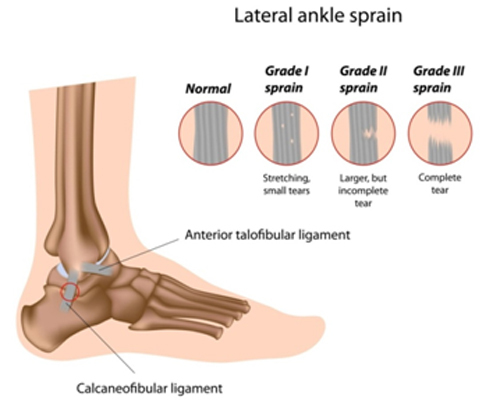 Sprains of the lateral ligaments (most commonly the anterior talofibular ligament) account for approximately 90% of all ankle sprains. It is most common to sprain the lateral ankle ligaments. This occurs when the foot is turned inward too much. 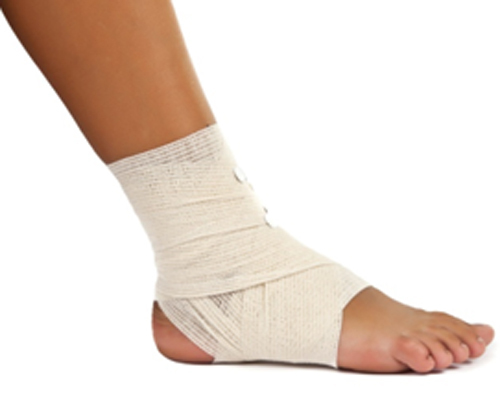 A less likely ankle injury is a sprain to the medial ankle ligaments. This occurs when the foot is turned outward too much. 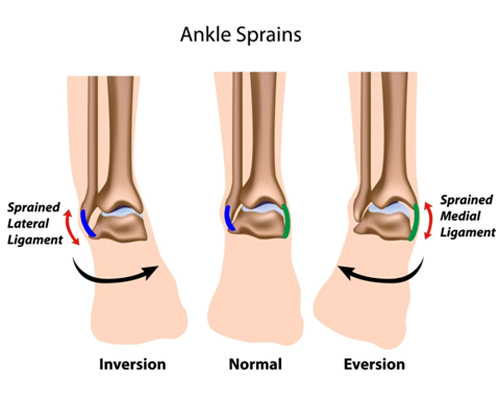 An ankle sprain occurs when weight is applied to the foot when it is in an inverted (turned inward) or everted (turned outward) position. This can occur in many situations and during various activities such as walking, running, jumping, or playing sports. Pain: There will almost always be pain that is associated with an ankle injury. Pain may also be present when weight bearing and absent while at rest. Swelling: The ankle may swell following a sprain, swelling may be minimal or excessive. 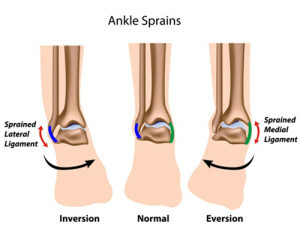 Bruising: Bruising may appear immediately after an ankle sprain or it may develop over time following an ankle sprain. If your doctor suspects a fracture has occurred after performing the physical examination, imaging tests may be ordered. Images of the bones forming the ankle joint may be ordered to ascertain the extent of injury to the ankle and to rule out more serious injury such as fracture. *The Coeur d’Alene Foot and Ankle Clinic has on site X-ray and fluoroscopy technologies available for immediate diagnosis. Taking care of your sprain at home is important in the healing process, the best care is using the R.I.C.E (rest, ice, compression and elevation) regimen to aid in reducing pain and inflammation. Anti-inflammatory medications may also aid in keeping swelling down and reducing pain. 2. Applying ice to the injury will help decrease pain, decreases blood flow and swelling and warmth. Never apply ice directly on the skin and not for more than 20 minutes at a time. 3. Apply a compression dressing such as an ace wrap or bandage for support. 4. Elevate your ankle to help decrease swelling. They may be treated similarly to grade 1, with R.I.C.E and allowing extra time for the healing process. A splint may be beneficial to this type of sprain. They are normally treated with immobilization by splinting or casting to allow the ligament to heal. A completely torn ligament can repair itself but in some cases, surgery may be necessary. Your physician may think that physical therapy will be beneficial in recovering strength and regaining as much functionality as possible after the healing process is complete.